The premise: A futuristic society keeps the peace by grouping people into castes based on personality type and eradicating “divergents” (individuals who are unpredictable and thus not easily controlled). 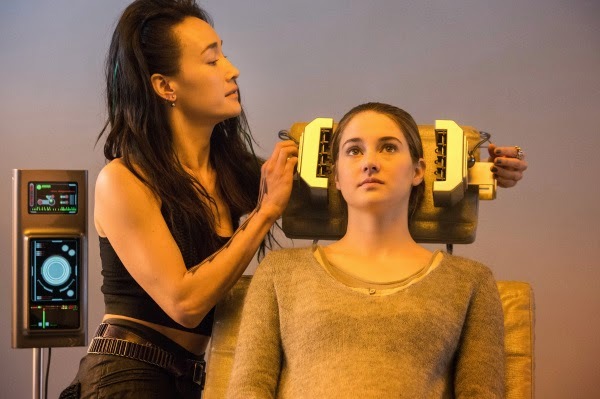 “The book was so much better” sighed the woman next to me, expressing her disappointment to her husband, even as a theater-full of fans erupted in applause at the end of Divergent. Having not read the book series myself, I've no authority to say how the film stacks up to the novel, but as a moviegoer I was pleasantly surprised at how engrossed I became in this fast-paced and thought-provoking tale. 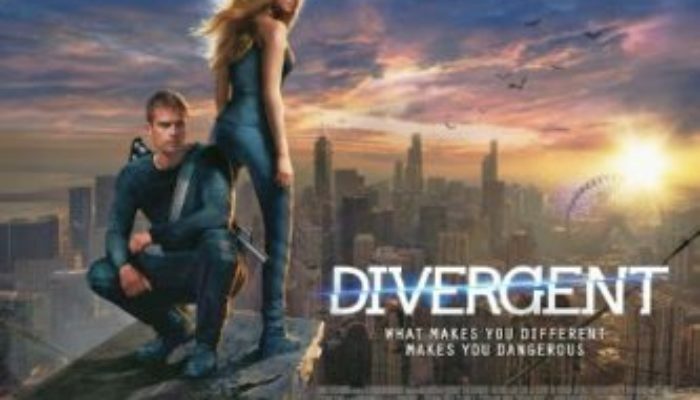 If not quite the next Hunger Games, it's still leagues better than The Mortal Instruments or the Twilight films. adding a good deal of feisty humor. James Franco doppelganger Theo James proves himself a capable foil for Woodley. They make for a convincing pair; their growing respect for one another is well-played over the course of the film. The acting is solid all around, even if Oscar-winner Kate Winslet is underused. A whole lot of story is crammed into two-and-a-half hours, so although the film never lags or bores, some characters (and intriguing concepts) aren't satisfactorily explored. 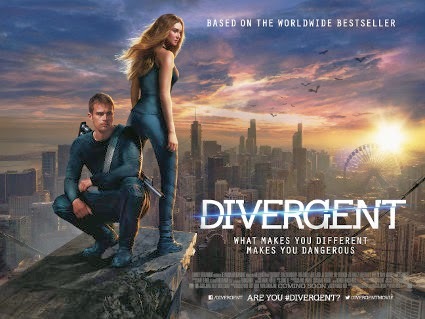 Still, this is an exciting, action-packed, and intelligent romantic thriller that's worth checking out. 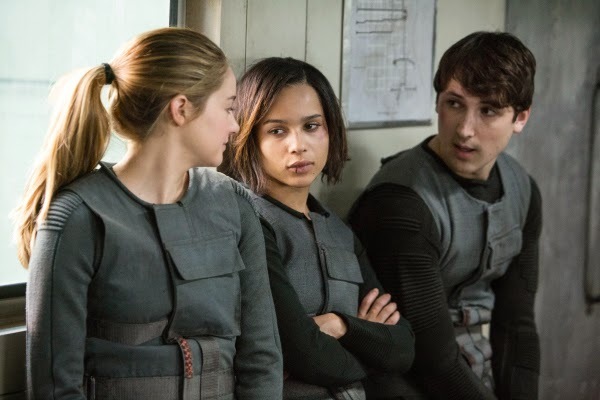 CONTENT OVERVIEW: Divergent is rated PG-13. There is a little mild language, but nothing harsh. A young man removes his shirt to show a young woman his tattoos (integral to the plot) and they kiss; she then says she doesn't want to move too fast and they stop. In a “fear simulation” that takes place in a young woman's mind, a young man forces her onto a bed (both are clothed) but she fights him off. There is plenty of sparring, fighting, and some bloodless shootings and stabbings in the context of battle. Teens get tatoos and engage in daredevil behavior. MESSAGES TO DISCUSS: People are beautifully complicated; categorizing ourselves or others by one or two traits limits us and prevents us from seeing each other for who we really are. Those who seek power and control often approach us as “wolves in sheep's clothing” (see Matthew 7:15). Giving your life for someone else is the highest form of bravery and honor (see John 15:13). We should strive to develop as many personal virtues as we can (see 2 Peter 1:5-7), including selflessness, peacefulness, honesty, intelligence and bravery.